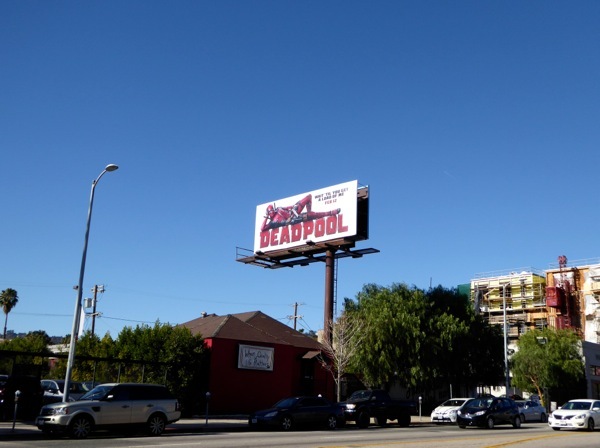 The 'Merc with a Mouth' is slaying it in the skies of L.A. this month with a fantastic collection of tongue-in-cheek billboards for his new solo R-Rated movie, Deadpool. 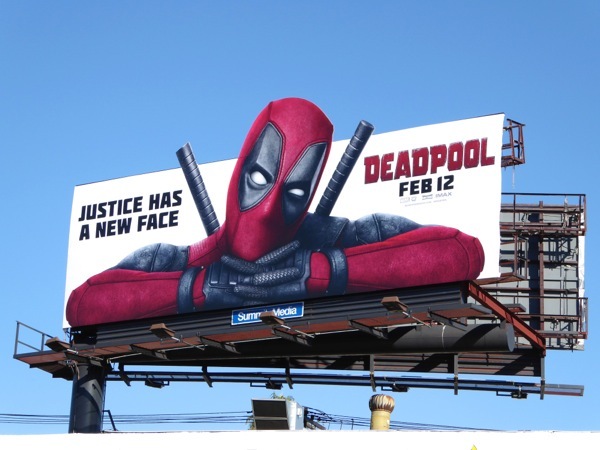 The fourth wall breaking mercenary first appeared in Marvel Comics The New Mutants #98 and was created by Fabian Nicieza and Rob Liefeld during the comic book boom of the early 90s when big guns, pouches and shoulder pads were in. 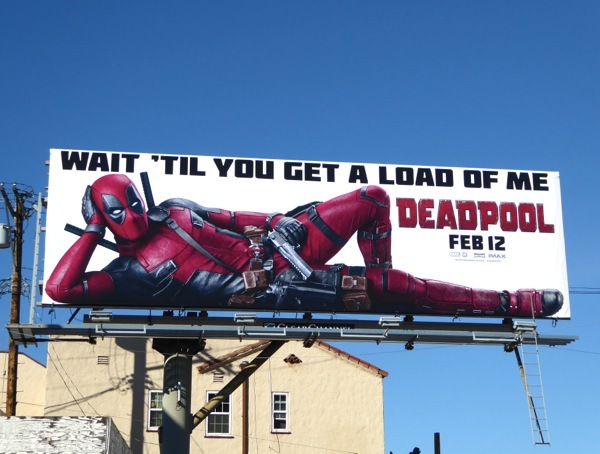 Years later and following his first big screen appearance in 2009's X-Men Origins: Wolverine, Ryan Reynolds reprises the role for the origin story of the titular character with the motor mouth and twisted sense of humour. 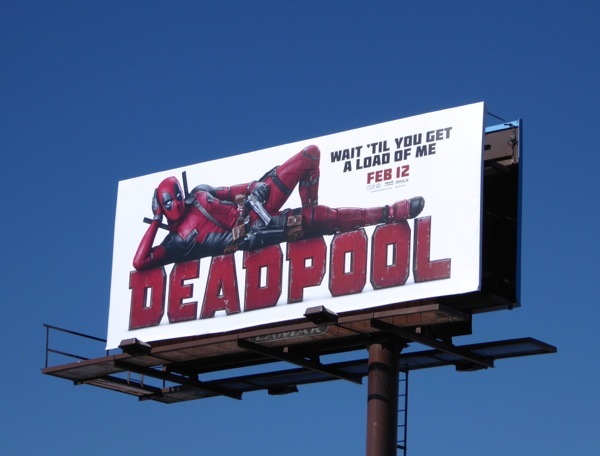 'Wade Wilson' is a former Special Forces operative turned merc who's diagnosed with terminal cancer and undergoes a rogue experiment that endows him with accelerated healing powers, but leaves his body hideously disfigured and his mind more than a little unhinged. 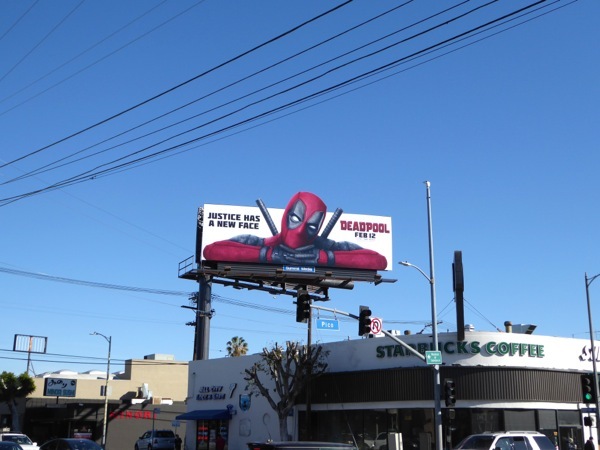 Dressed in red and black, and armed with his swords, guns and a charming disposition, the anti-hero plans to get revenge on the man who ruined his life. 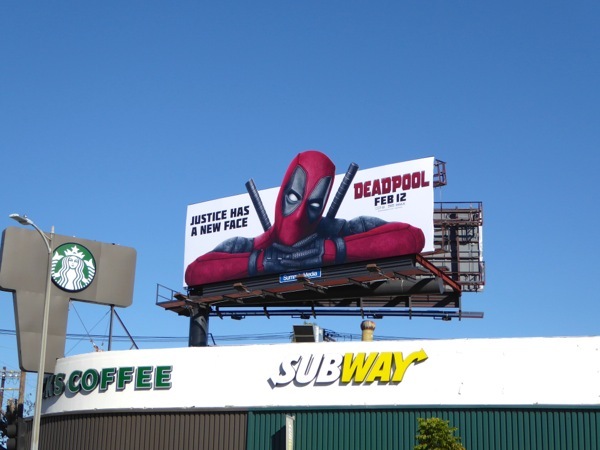 Unlike conventional superheroes like Spider-man, Deadpool has more than a screw loose and believes with great power comes great irresponsibility. 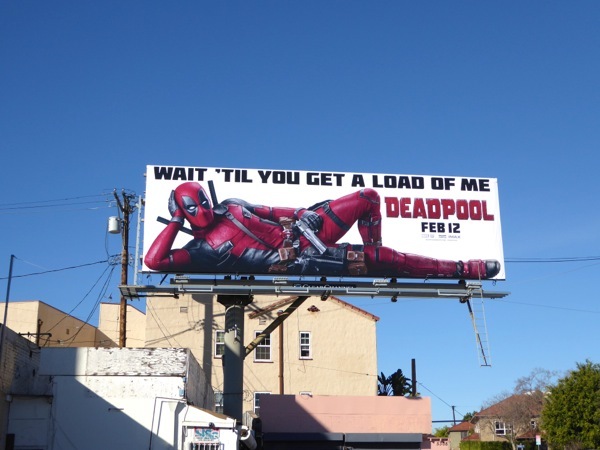 Expect bullets to fly, F-Bombs to be dropped, violence to be graphic and more than a few X-Men cameos, including 'Colossus' and 'Negasonic Teenage Warhead' to name but a few. 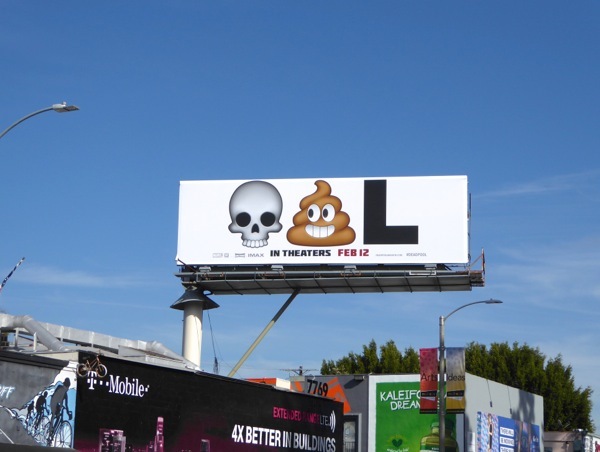 The theatrical release team at Fox Studios seem to be having more than a bit of fun with their R-Rated hero and this emoji billboard spotted on January 13 wonderfully encapsulates the humour of the character, and is perfectly placed opposite Melrose Avenue's Fairfax High School where the adolescent humour and emoji creative will resonate will the school kids. 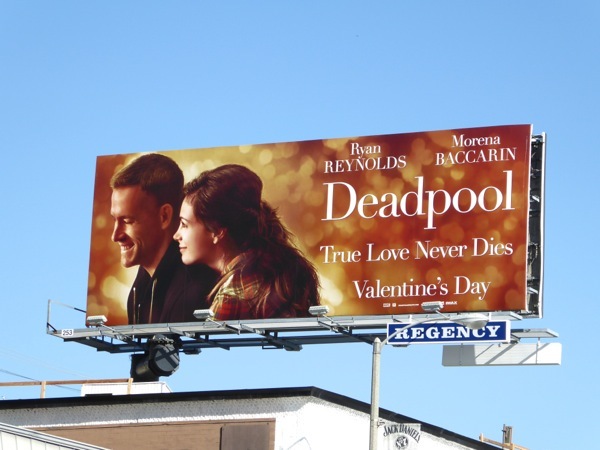 Another fab billboard is this spoof romantic movie ad creative snapped along the Sunset Strip on January 18, which features Ryan Reynolds face (which is normally masked as Deadpool) and Morena Baccarin as his love interest, 'Vanessa Carlysle', in the film. 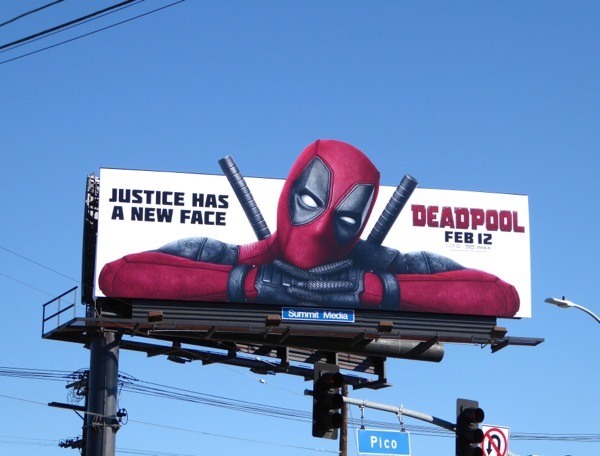 Meanwhile the eye-catching 'Justice has a new face' special extension and 'Wait 'til you get a load of me' billboards were spied above Pico Boulevard, La Brea Avenue and Highland Avenue on January 12, 2016. 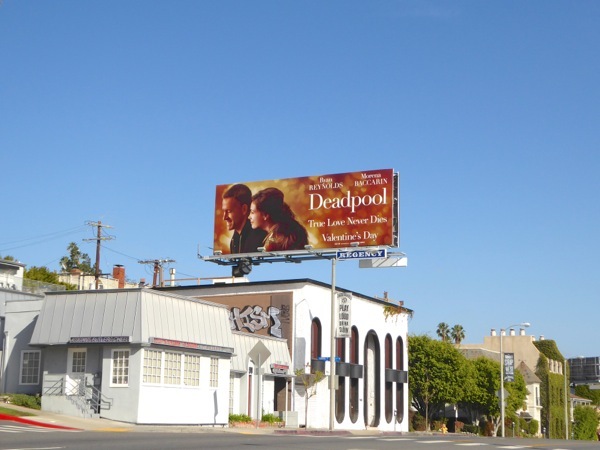 If you're a fan of Ryan Reynolds, be sure to also check out these Green Lantern movie billboards from 2011, these R.I.P.D. 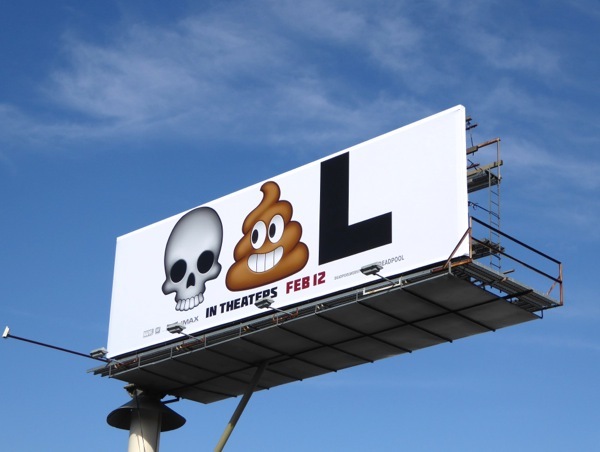 movie billboards from 2013 and these film billboards for The Change-Up from 2011. 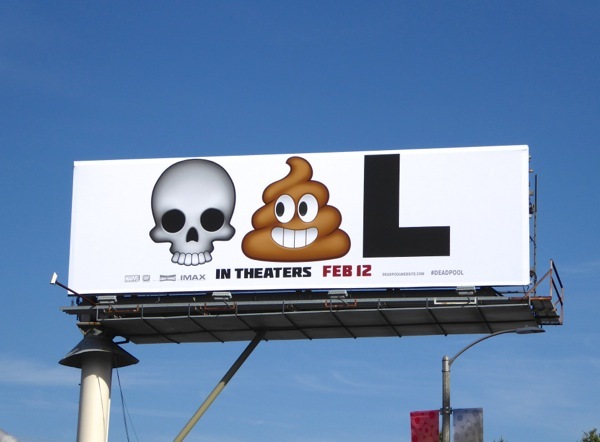 The signs look good from the marketing campaign to the trailers, but let's just hope Deadpool isn't a massive turd of a superhero movie like Green Lantern was. 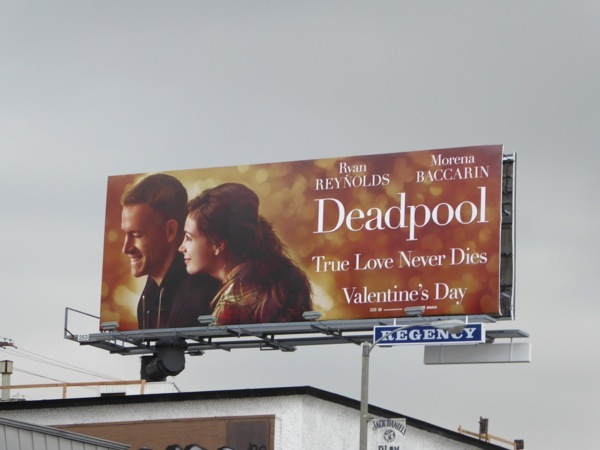 UPDATED: Because you didn't demand it, but we couldn't resist, here's also the romance spoof billboard for Deadpool on a less gloomy day in L.A., snapped along the Sunset Strip on a sunny January 24, 2016.